*Clopay Authorized Craftsman* We at American Joe Repair offer quality service at fair prices. We will go above and beyond our competitors to provide complete satisfaction to our costumers and their garage door and opener needs. Established in 2010. We are a locally owned and operated business who places our customer's values as our first priority. Understanding that the success of our company is directly linked to the personal relationships we form, we are committed to improving the lives of our customers and the communities we serve. Every job is reflective of our strong work ethic and pride in a job well done. Our vision is to provide superior quality - In doing so, we will differentiate ourselves from our competitors by providing exceptional workmanship and customer service. We serve the Northern Virginia, Maryland, and Greater DC areas. No matter the size of your project, whether a repair or replacement, we promise to provide a thorough consultation, followed by a detailed and competitive estimate, all in a timely and professional manner. Our goal is to leave you with one less worry regarding your home improvement needs. 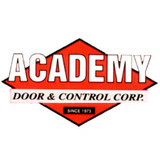 Academy Door and Control is licensed, bonded and fully insured. Every member of our team is trained, certified and experienced in the installation or repair of all types of garage doors, operators and openers. Our radio dispatched fleet is on call 24-hours a day! You will find the original management team in place; that’s over 35 years of experience at your disposal for your next garage door project. All major brands are offered. *Authorized Clopay Dealer* Pro-Lift is a family based garage door business founded in 2005. We have over 35 years of experience in the garage door industry. Servicing Virginia, Maryland and D.C., We are your complete garage door company: Sales -Service - Installation. At G&S Garage Doors, Our #1 Goal Is customer satisfaction. We sustain our company on trust, reliability, great communication, integrity and quality work. Our technicians are extremely knowledgeable, experienced, prompt and courteous. We strongly believe in giving our absolute best in all of our projects. We are experts in our trade and take great pride in our work. We will always keep you educated on your particular task or project. Call today for the BEST service in the industry! We truly enjoy helping people build, fix and maintain their homes and businesses. Each of our team members has a unique skill-set that he employs every day to help our customers. We’re good at what we love. We have been in the home improvement business since 1989. The owner of the company, Steven Gauthier Sr., has over 25 years of hands-on business experience in the construction industry. The Mid-Atlantic Door Group, Inc., distributors of Overhead Door Corporation products, was started in 1973 and now consists of seven office and warehouse locations which have been strategically placed to properly service our markets in Maryland, Washington, D.C., Virginia, and Pennsylvania. We are proud to offer the industries best in both residential and commercial garage door product sales and installation. All of our garage doors and openers are backed by industries best warranties; demonstrating our confidence in both our products’ quality and longevity. In addition to being a leading Overhead Door Distributor, we continue to provide the area’s most trusted garage door repair and installation services. Our 24-hour emergency garage door repair services include garage door opener repairs, broken spring repairs, broken cable repairs, roller repairs, panel replacements, fire door inspections, drop tests and planned maintenance programs. Overhead Door Corporation represents the best in craftsmanship, reliability, and customer service within the garage door industry and is most often recommend by design and construction professionals. Overhead Door has provided nearly a century of innovation to the garage door industry, inventing the first upward-acting garage door in 1921, and the first electric garage door opener in 1926. Our tradition of innovation continues while maintaining our time-honored principles of customer service and quality control. 24 HOUR EAGLE GARAGE DOOR SERVICES Eagle Garage Door are experts in the garage door industry. Our expertise lies in garage door and opener repair, installation and replacement services at your home or business. We are a family owned and local small business. As a trusted garage door service company with strong substantial ties to the communities that we serve in the DMV area we have various local offices and teams available for anyone’s garage door needs. At Eagle Garage Door our service area is quite large, from Anne Arundel County, to Baltimore County, Charles County, Calvert County, Fairfax County, Alexandria County, Howard County, Montgomery County, Prince George’s County, Washington, DC and the surrounding areas. We are able and willing to tend to each of our clients emergency, standard, or maintenance needs. For the last few years, Frenchporte has been driven to develop and patent a line of innovative garage doors based on this principle. Our Frenchporte family, whose name comes from the concept of a French door, is uniquely designed especially for the homeowner who is facing the front load garage door dilemma. With its durability, dependability and curbside appeal; as a consumer, now there are options because now there is Frenchporte. Affordable Door is the Washington DC area's top-rated garage door service company. We have earned the Angie's List Super Service Award and Ebsco Research Best Pick for the past six years. Our other accolades include a Five-Star Rating by Home Services Review and the HomeAdvisor Screened and Approved designation. We are locally owned, licensed and insured. Our experienced and knowledgeable technicians are the key to our success and the reason we have so many satisfied customers. We are a Clopay Master Dealer and offer the exclusive Gold Bar Warranty which provides a lifetime warranty on the garage doors we install. 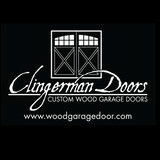 We are also an Authorized Liftmaster Dealer, the best in garage door openers. All of our garage door technicians are trained employees not contractors. This means you get the best products, great service and guaranteed work. We have a 100% Satisfaction Guarantee. We look forward to working with you! Crisway Garage Doors provides premium overhead garage doors, service, and automatic gates for clients throughout the Washginton DC metro area. With a central location in Bethesda, MD we have the ability to provide prompt garage door sales and service for clients in Maryland, DC, and Northern Virginia. Whether you are a homeowner, builder, realtor, architect, or developer, we can supply and install the perfect overhead garage door to complete your project. A North American Horizontal Garage Door System available in a multitude of colors and materials to include the traditional steel garage door, wood, frameless and reflective glass, metal and acrylics. Our team has been committed to serving you with excellence since 1996. When you choose our family-owned outfit for your garage door, you bet the job is going to get done with effortless skill and precision. Our pros are determined to go above and beyond the call of duty every single day. Once you've experienced our exceptional quality service for yourself, you'll understand why our loyal customers keep coming back to us for all of their garage door needs. No job is ever too big or too small for our team who will always get it done right. "YOU USE IT , WE FIX IT!" All-in-one Garage Door and Gate Repair is a 24hr same-day garage door repair company! Reliability and customer experience is what is important for us in the company. Our company focuses on fast customer service and is available at any time and we repair, renovate, and install any type of garage door. Call us today at 877 525 8522! Whether you need to install insulation or a new garage door, Accurate Insulation is the company to call. We are located in Upper Marlboro and Hagerstown, Maryland but serve the entire Washington, DC metropolitan area, from Rockville and Bethesda all the way to Frederick, Baltimore, and Annapolis. Fred C. Johnson Garage Doors Inc.
At Fred C Johnson Garage Doors, we offer the kind of personalized service that is rarely seen today. We are a family owned and operated company with fully knowledgeable and professional staff of technicians. Although we sell and install Clopay Garage Doors, CHI Overhead Doors and Liftmaster Garage Openers, we do service and repair all other makes and models of garage doors and opening devices. We also stock one of the largest selections of garage door parts, springs, cables and replacement parts in Maryland. 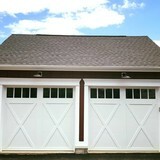 BWI Garage Door offers the highest quality professional installation and repair services throughout Maryland. Our aim is to exceed all standards of quality and precision to deliver the industry best garage door services. With a great level of integrity, flexibility, and diversity, we handle your residential and commercial garage door requirements in an efficient way. What kind of services do Chantilly, VA garage door dealers and installers provide? Garage door professionals specialize in the selection and installation of residential garage doors and openers that fit your budget, style and needs. This includes choosing a garage door style — or designing a custom garage door — that blends in with your home’s exterior, selecting materials, determining a technological system that supports your security and access needs, determining proportions and dimensions, finalizing decorative designs and ensuring that everything meets Virginia compliance and building codes. Find garage door sellers and installers in Chantilly, VA on Houzz. Narrow your search for Chantilly, VA garage door sellers and installers by selecting the nearest city or zip code. Look at portfolio and product photos, and read reviews to find the best Chantilly, VA garage door professional for your home.